When a given force (1 Newton) is applied to a given mass (1 Kilogram), the result is an acceleration (1 meter per second squared) of the mass. 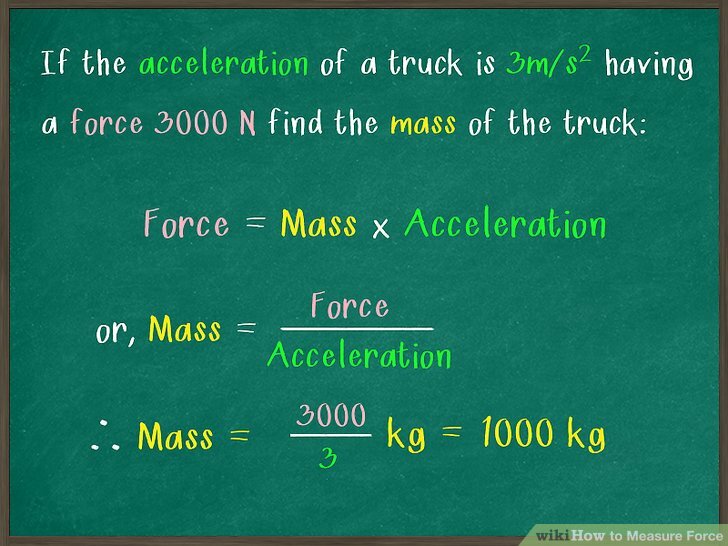 When the force is applied for a given time (1 second) in a given direction, at the end of that time the mass will have a velocity (1 meter per second) in that direction, relative to the initial velocity of the mass. Acceleration is measured in metres per second per second or metres per second squared (m/s 2). Load When a force is exerted on a structure or other object, this is known as a load. In the first step, the force applied to the object is upward and is equal to the gravitational force: mg, where g is equal to –gy (g = 9.8 meters per squared second) and m is the mass of the box. Thus, to lift the box, a force mg y is required over a displacement vector d 1 y. From Newton’s 2nd Law, the force of gravity on an object (F g), is equal to the mass of the object times its acceleration, the acceleration due to gravity (9.81 m/s 2), which you can abbreviate as g.